Cristiano Ronaldo has reportedly sent Europe’s biggest clubs into high alert. The Portuguese international, who will have his heart set on progressing as far as he can with his national side in the World Cup in Russia, will need to resolve his club career after the end of the World Cup. He made a slow start to his league campaign last season, but still went on to win a Champions League medal. However, just days after the win in Kyiv, Ronaldo came out to speak about his frustrations at the Bernabeu. Though it was understood that he might yet stay at the club for another year, reports (via ESPN) from his home country claimed that he has decided to depart from Spain this summer, and that his decision is irreversible. The same story went on to claim that Jorge Mendes, Ronaldo’s agent, sat down with the Madrid hierarchy and conveyed Ronaldo’s wish to move elsewhere this summer. The 5-time Ballon d’Or winner has been promised a couple of new contracts at Real, but is yet to be offered one. 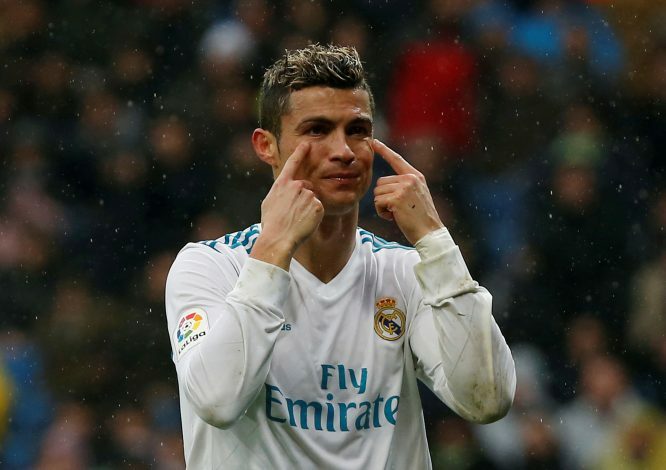 It is also understood that Ronaldo is frustrated with the situation and the transfer dealings of Florentino Perez, who is now happy to let the former Manchester United man quit before the start of next season. Standing as a true superstar in the modern game, Ronaldo will be almost impossible to sign for even the richest of clubs in Europe, but reports now claim that CR7 is desperate to not leave Europe already. The decorated forward has ruled out moves to the MLS or China, and is expected to play for a top club in Europe next season. He has also ruled out moves to countries like Germany, but is open to playing in France and even Italy. But it is understood that a move back to the Premier League is his preferred route. At the age of 33, the super athlete still has a couple of years as a top footballer left in him. Where do you think he will play his football next season?